iOS 12 wasn’t the only platform discussed at Apple’s huge keynote Monday morning. 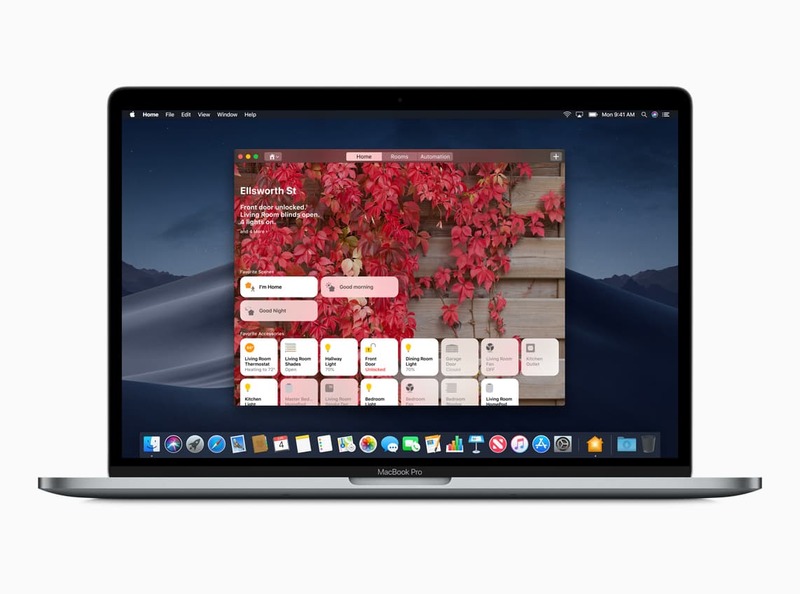 iOS 12 kicked off the show, but many of the features making their way to macOS 10.14 this fall are sure to catch the attention of all sorts of Mac users. 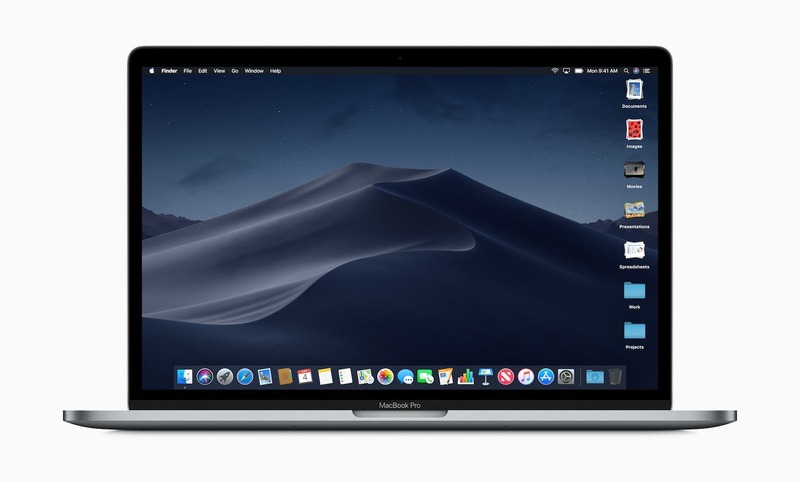 Codenamed “Mojave” (and that’s “Mo-hah-vay” for anyone curious), macOS 10.14 continues the trend of bringing long-sought features to Apple’s desktop platform and opens the door to bringing iOS apps to the Mac. 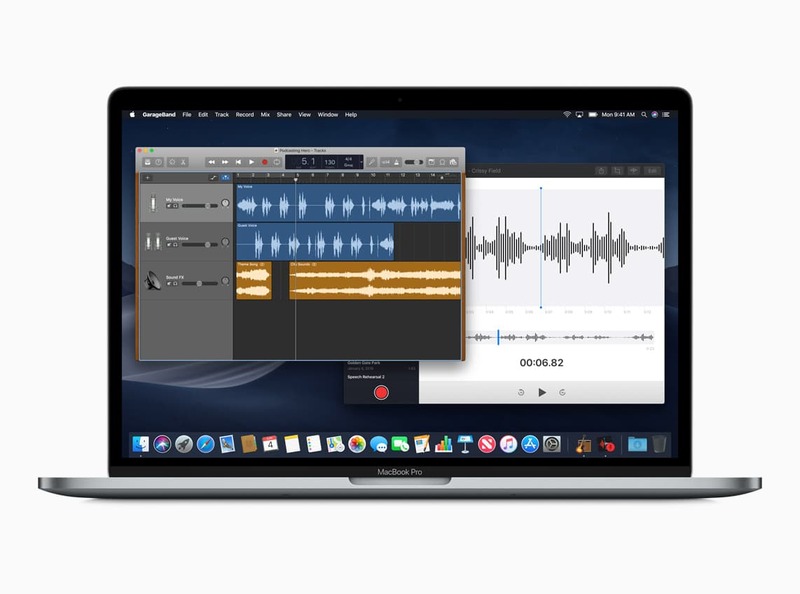 The potential of iOS apps on the Mac is intriguing, and Apple is using itself as a test dummy with its introduction of News, Stocks, Home, and Voice Memos on the Mac. We’re incredibly excited to see where developers take this new opportunity. 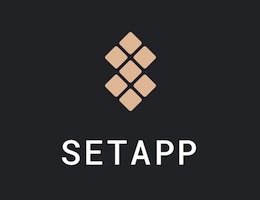 As beta testers and developers explore the beta software over the next few months, new features are sure to be un-earthed and shown off. For now, here’s our list of the five most anticipated features from Apple’s next iteration of macOS. If applying a simple coat of paint was what stood between Apple’s users and a full-fledged dark mode for macOS, we would have had a dark mode years ago. As it stands, it’s safe to assume this is no mere fresh coat of paint. 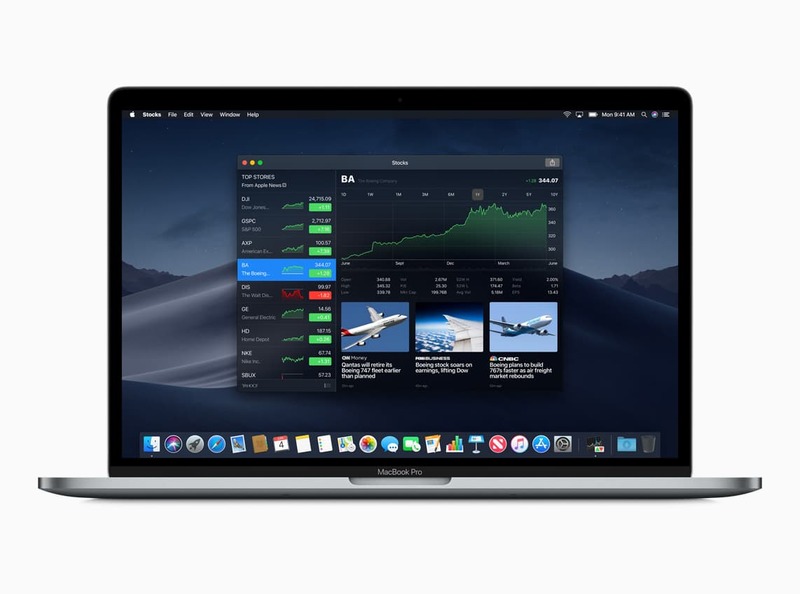 macOS 10.14 debuts Apple’s first desktop dark mode, promising to bring your content to the forefront and bring a new level of style to the Mac. Apple’s initial previews look promising, with Finder taking the spotlight with its new dark gray and black color palette. We’ve seen the potential of a system-wide dark mode with the introduction of a blacked-out menu bar last year as well as numerous new third-party app themes with dark modes. Although it’s a cosmetic-first feature, Mojave’s upcoming dark mode is sure to delight. 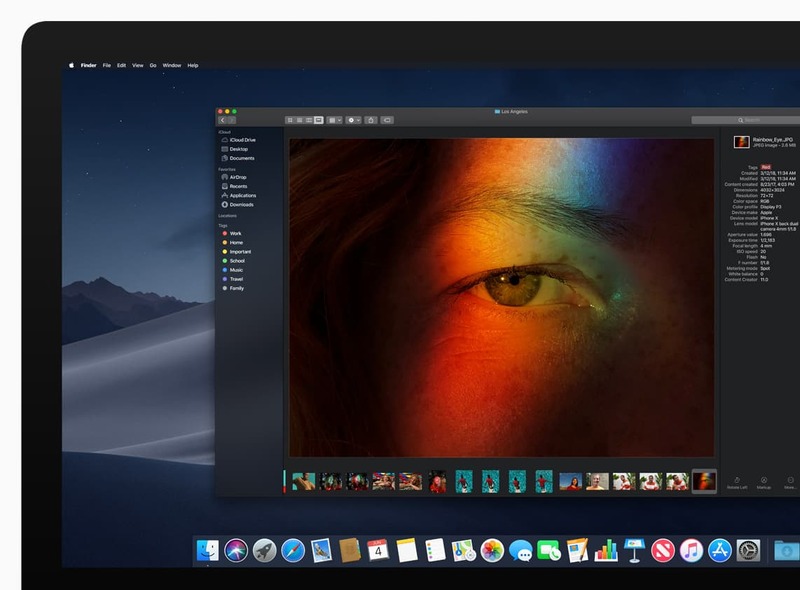 Apple is set to take dark mode one step further with a new feature coined “Dynamic Desktop.” In short, as the day progresses from morning to evening, Dynamic Desktop shifts the hues of your desktop wallpaper to match the time of day. Apple’s macOS 10.14 preview has a great scrubber to showcase how Dynamic Desktop is set to work. The shifting hues of the sand dune look phenomenal and we can’t wait to see what developers come up with for Dynamic Desktop wallpapers. macOS 10.14 is set to debut a plethora of improvements to Finder, how files are managed on your desktop, and new features for quickly annotating screenshots, PDFs, and photos all within Finder’s Quick Look. For those users who have their files strewn across their desktop (*raises hand*), Stacks is set to provide some organizational structure to your labyrinth of files. Stacks will sort the files on your desktop by grouping all files by a specific file type, and then users can control how Stacks manages their files by creating custom attributes, like sorting by tags or by date. More interesting than Stacks are all the incoming improvements in the Finder. Finder will receive a new Gallery View (which I’m pretty sure we first witnessed in a prior iteration of Mac OS X a few years ago), as well as a new Preview Pane that will show all of a file’s metadata. Quick Look inside Finder is set to receive a range of new markup and annotation features for cropping and marking up PDFs and images, as well as trimming video and audio clips. Plus, Mojave adopts an iOS-style method of shooting and annotating screenshots for sharing and saving. The more our world moves into the handling and processing of data, the more the impact major improvements to the Finder will become. Just like the Stocks and Voice Memos debuts on the iPad, macOS 10.14 is set to introduce News, Stocks, Voice Memos, and Home to the desktop. All the apps look much like their iPad counterparts and bring more of a uniform experience across Apple’s desktop and mobile operating systems. The reason for these new apps’ uniformity across platforms is due to Apple’s introduction of a new developer framework for Mac apps. Starting in late 2019, Apple will introduce frameworks that allow developers to more easily create Mac apps to accompany their iOS counterparts. In short, a chunk of the kits iOS developers use will be introduced to the frameworks developers use to create Mac apps, thereby allowing quicker, faster porting of iOS apps over to the Mac. We’re tremendously excited about the possibilities of these new frameworks. The smallest independent developers who didn’t have the time or capital to work on a Mac app should now have a greater array of tools to bring their top-of-the-line iOS apps to the Mac. This will surely blur the line between macOS and iOS, but we’re excited to see what the third-party developer world has in store for Mac users. One of iOS 11’s biggest selling features was the redesigned App Store, ushering in a wave of editorial content alongside the ever-growing behemoth of apps in the iOS App Store. Many Mac users have been left scratching their heads regarding when the same design would take over the aging Mac App Store. With Mojave, that time has arrived. Once again, many of Mojave’s upcoming Mac App Store features are inspired by what we currently see in the iOS App Store. 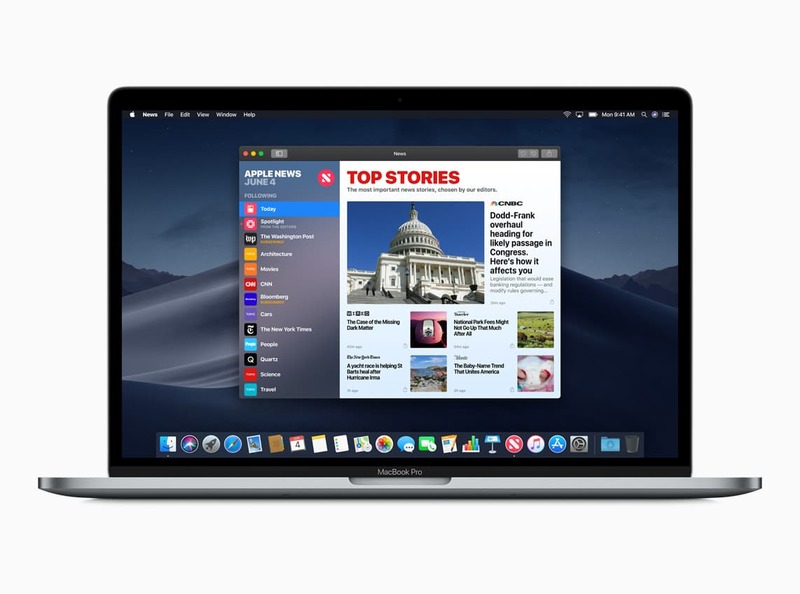 Editorial pieces are sure to drum up new apps Mac users had not discovered prior, and bright, flashy new app splash pages are set to bring the content would-be downloaders are looking for. 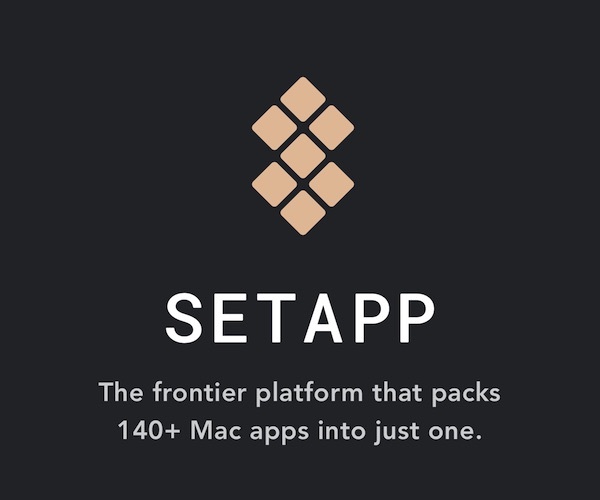 Most interestingly is the addition of a range of new apps coming to the Mac App Store in the fall. 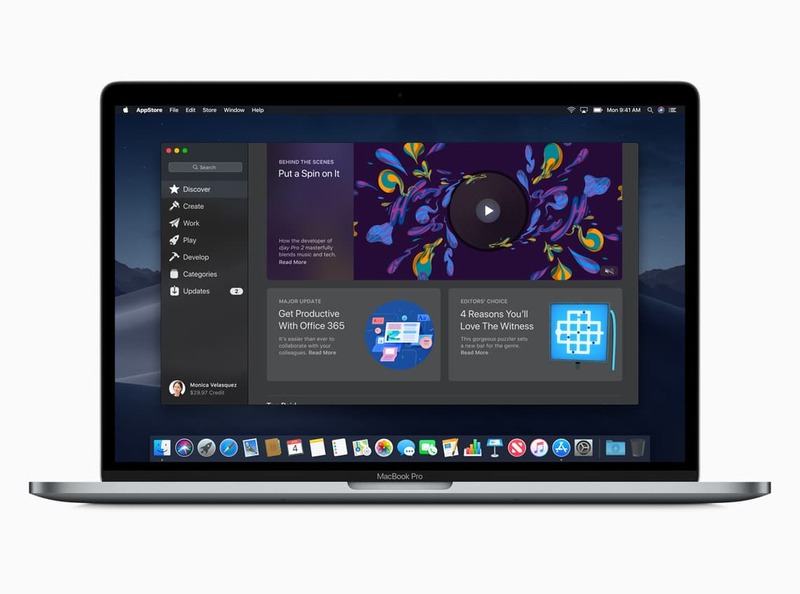 Apps that have never previously been available on the Mac App Store, like Office 365 apps from Microsoft, Adobe Lightroom CC, BBEdit, and Panic’s Transmit 5 will all debut on the new Mac App Store. We don’t think this has to do with a fresh coat of paint — in all likelihood, Apple has changed some rules behind the scenes to make the Mac App Store more accessible for developers. No matter the case, we’re excited to see the Mac App Store take a page out of the iOS App Store’s book. This is sure to bring more dollars to more developers, which in turn will drive more innovation in the app arena. Win-win for everyone. 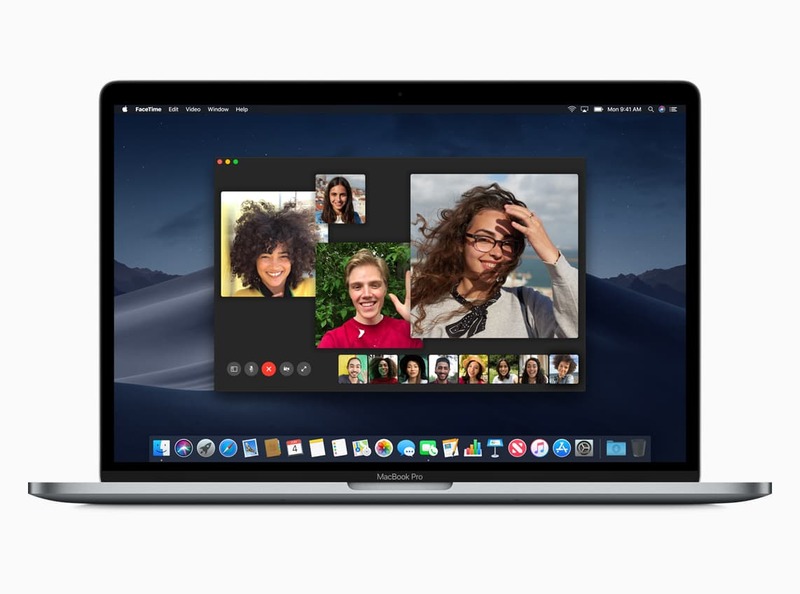 Last but not least, like iOS 12 shortly before it, macOS 10.14 Mojave will see the debut of Group FaceTime chats. This will have a major impact on teams who need to telecommute or teams who complete many meetings via teleconference. Participants can jump in using an iPhone, iPad, Mac, or (using FaceTime Audio) with an Apple Watch, allowing participants to join the conversation from anywhere. Again, like iOS 12, Mojave’s upcoming Group FaceTime will intelligently bring the speaker and more prominent participants to the forefront by enlarging their video bubble, while listeners and less active participants will float to the background and down to the bottom of the window. Group FaceTime will be able to support up to 32 participants in the same call, so we’re excited to see how this display option works with large groups of people. It’s not hard to see the impending consequences for those video calling apps that haven’t kept up with features, security, or performance improvements over the years. Group FaceTime is likely to have a major impact on podcasters, teams, companies, or families who want to enjoy the company of all family members, no matter where they are. I am a relative newbie in the Mac OS world — my first introduction to the Mac was in 2009 with Mac OS X 10.6: Snow Leopard. From that point onwards, it has been a near annual onslaught of new features and improvements to the Mac platform — some features reinforce how I work now and into the future (Split-Screen, for me) and other features that I’ve almost forgotten existed (Notification Center on the Mac, anyone?). 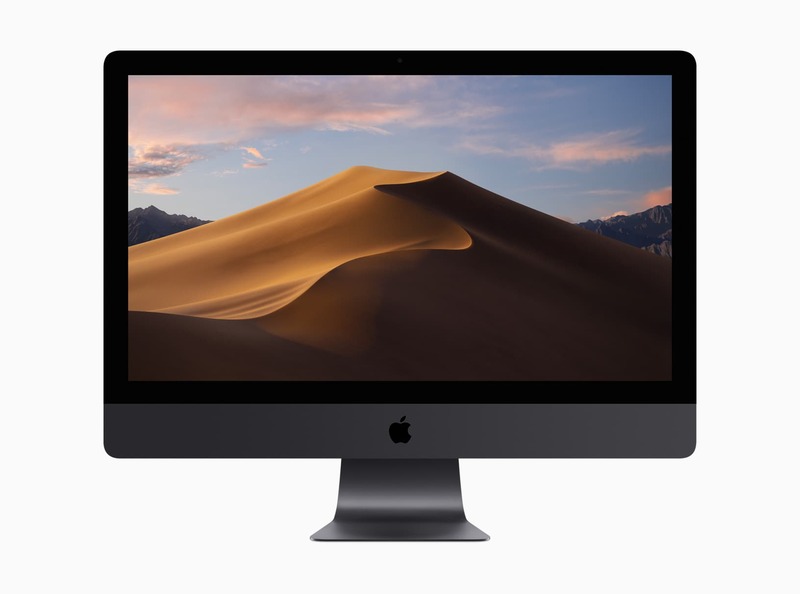 macOS 10.14: Mojave continues the growth of the Mac and we’re excited to see what’s in store for Fall 2018.